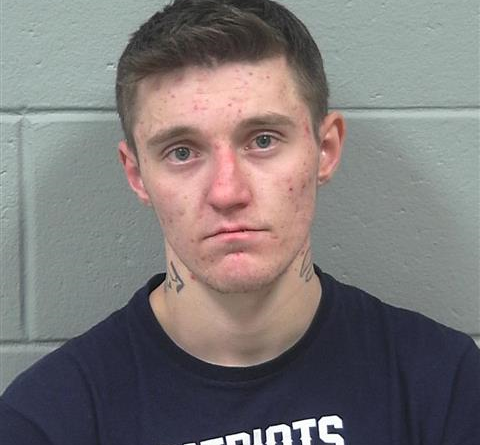 The handcuffed man who stole a Dexter Police cruiser last week got behind the wheel of the vehicle by squeezing his body through the small partition window between the front and rear seats, authorities said. Tyler Tibbetts, 22, had been cuffed and placed in the back of the Ford Explorer around 10:30 a.m. on May 11, after police arrested him on probation revocation arrest warrant at 876 Garland Road in Dexter, Chief Kevin J. Wintle said. When officers went back inside the house to speak with Tibbett’s girlfriend and a young child, Tibbetts squirmed to maneuver his cuffed hands to the front of his body, then shoved himself through the 11-inch by 11-inch partition window and into the driver’s seat, Wintle said. The engine was still running to keep the car cool for Tibbetts while he was seated in the back, and Tibbetts sped off, Wintle said. He abandoned the car less than 3 miles away on Parkman Road. At 2 p.m., police spotted him driving another car, and Maine State troopers and Dover-Foxcroft police chased him at high speeds until Tibbetts lost control of the car and crashed on Route 15 in Dover. Tibbets suffered serious injuries in the wreck and was flown to Eastern Maine Medical Center via LifeFlight. His condition or injuries were not immediately available on Monday afternoon.